Our New Standard is a Plug and Play option that includes ALL the inner workings “CORE” of a high end, quality site, along with a current look and feel. There is no customization on this option, other than the choices you are provided for Text styles, and color schemes. 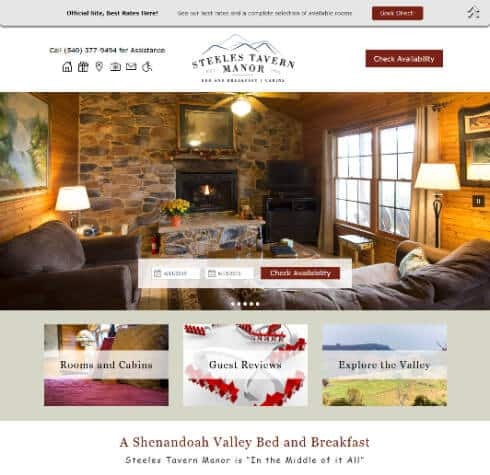 The site is based on 6 individual room pages, and you may add more yourself after Go-Live, or have us include additional Room pages in the bid for $100 more per page. 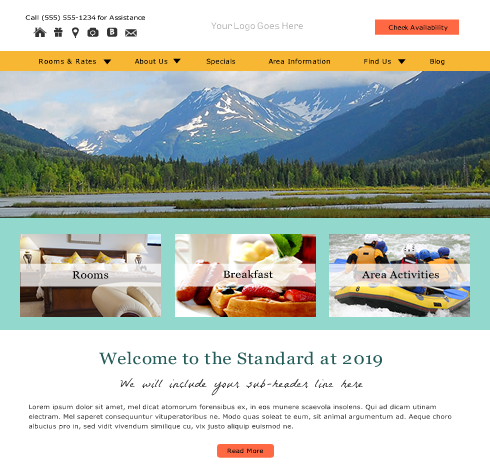 This new design has 35 + ADA approved Color Schemes choices, both Serif and Sans Serif font Choices, is proven Website ADA Compliant, allows for a fast Go Live Schedule as it’s Plug-and-Play, you provide the photos and text, and YOU OWN THE SITE! Often times, an Existing Theme is a great start, but isn’t “quite” what you are looking for. We have found that when we meet with a potential client and understanding their desired modifications, we can create a Responsive Design that you will love. These “Altered Themes” typically cost more than using an Existing Theme “AS-IS” (the Standard Plan) but is still much less expensive than going to a Premium Plan which provides full Custom Responsive Design. If this option appeals to you, we offer a Deluxe Mockup Service that allows you to “SEE” the design before you sign on the dotted line. For a flat fee of $249 we will work with you to design a Home Page Mockup, starting with an Existing Theme, your photography and colors, and we will alter it to your specifications, at all times, keeping Google’s guidelines in mind! If you wish to proceed to have Acorn IS build the Deluxe Mockup Design into a Responsive Web site, based on our Responsive “Core” code, we’ll deduct the $249 directly from your Bid. If you choose to go with another provider, the mockup is yours to take with you. Note: Our Deluxe Mockup Service is available a no charge to existing Hosting clients. 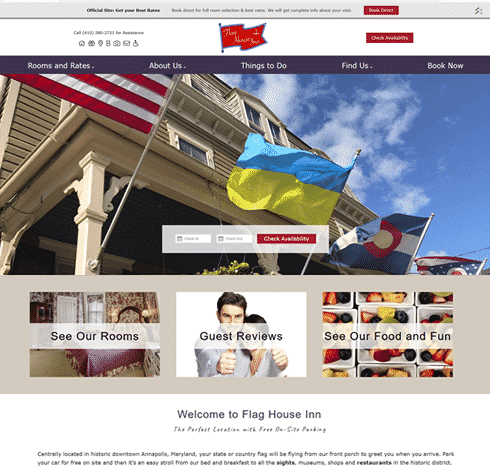 Our Responsive Custom Designs fall under the Premium Plan type. Each Custom Design is created from scratch to best suit your property and your individual needs and tastes within the constraints of the Google guidelines for a quality responsive design. The Custom Design will sit on top of our “Core” code base that has been developed to meet Google’s guidelines. This “Core” code is part of any design developed by Acorn IS. 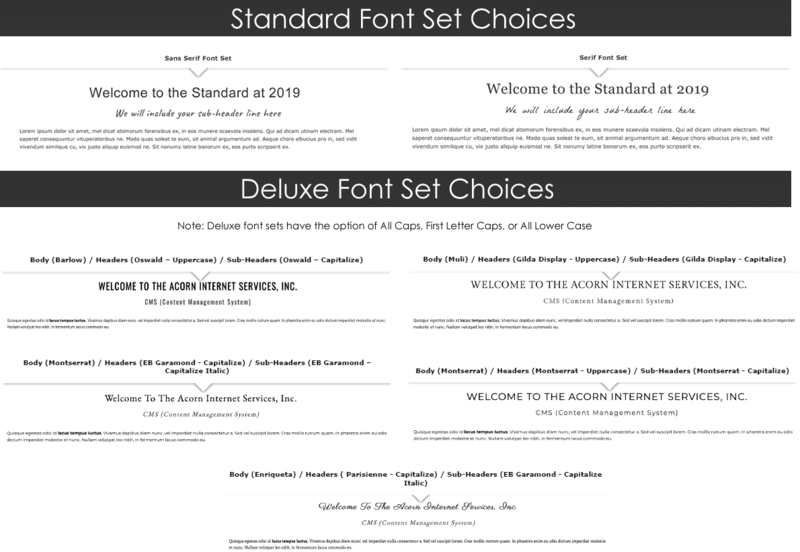 Our Responsive Association Designs fall under the Premium Plan type. Each Custom Design is created from scratch to best suit your property and your individual needs and tastes within the constraints of the Google guidelines for a quality responsive design. The Custom Design will sit on top of our “Core” code base that has been developed to meet Google’s guidelines. This “Core” code is part of any design developed by Acorn IS. 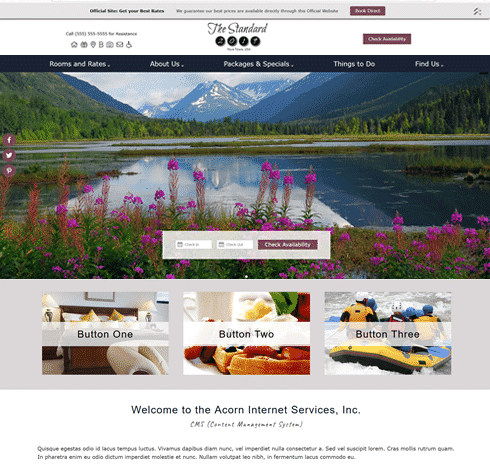 Acorn Internet Services specializes in lodging and small business Responsive Web site Design and Marketing. Each of our Responsive Web site Designs meet Google’s Schema, PageSpeed and Usability, Mobile Friendly and SEO Guidelines. As you look through the Portfolio below, keep in mind that each Plan type (Standard, Deluxe and Premium) may have a similar look and feel, but the size, functionality and features of the Web site is what determines the Plan type and cost. Each different type of Responsive Design Package (Standard, Deluxe and Premium) has an established Base Number of Web Pages in the Bid Estimate. Clients may choose to have Acorn IS add in additional Pages as part of the Sales bid process, or they may add them in themselves using the included WordPress CMS after the site has been completed. Additional pages typically run $100-$150 each depending on the On-Page SEO requirements for that page. All our Responsive Web Designs are built on a “Core” set of code. You can think of our “Core” code in relation to the engine in your car. Acorn Internet Services has invested 100’s of hours of R&D (Research and Development) into this “Core” code to make sure it follows Google’s Guidelines for Schema, Mobile, SEO, Speed, ADA, GDPR and Usability. The Layout, or Theme (the Look and Feel) of the site sits on top of the “Core” code. You can think of the Layout or Theme as the body of your car. Our New Standard Design is a lower cost, plug-and-play option to give you all the power of our “Core” with a current look and feel. Our Deluxe Plan offers the ability to choose from any of our Themes and alter them to your specifications. Finally, we can create a totally Custom Design as per your specifications, still using our “Core” code, but have a one-of-a-kind-look-and-feel as part of our Premium Plan. Google has told all Web Developers and Business Owners that Responsive design is Google’s recommended design pattern. As the very first company in the Bed and Breakfast Industry to build only Responsive Designs, Acorn Internet Services is THE premier leader for Responsive Web Design in the lodging arena. Our Google Insights scores consistently exceeds anyone else in our market, and all of our Responsive sites meet Google’s guidelines for SEO, Mobile, Speed, Usability and Schema. If you are unsure of what it means to have a Responsive Web Design, watch the video at acorn-is.com/responsive to learn more. A Professional Responsive Design requires Professional Photography. 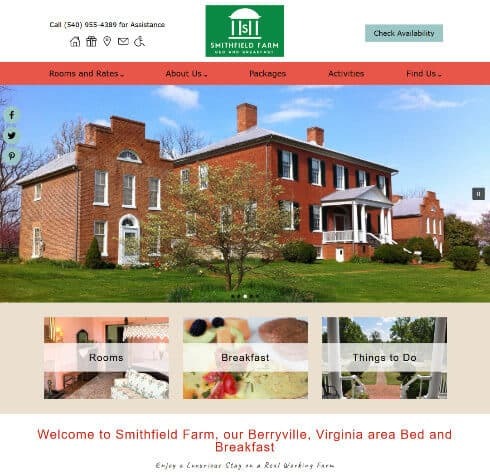 Today, Web Design includes very large imagery on the pages to better “sell” the property to your guests when they are visiting your site on a PC, Laptop or Tablet. On an Acorn IS created site, that same imagery is sized down appropriately to load quickly on a mobile device. Poor Photography will severely impact your ability for us to design a highly effective Web site. If you need some suggestions of Photographers in the lodging space, we encourage you to check out our list of Affiliate Photographers. Google has provided Speed and Usability Guidelines for both your Desktop and Mobile site. They have also provided a variety of testing tools to allow business owners to know whether their Web site meets those guidelines. One of these tools is called Test My Site with Google. The other tool is called Google’s PageSpeed Insights Testing Tool. Very few vendors in our space are able to score consistently in the Green Zone for all three PageSpeed Insights tests (PC Speed, Mobile Speed and Mobile Usability). There are 3 color codes as part of this test. Green: Good, Yellow: Acceptable, Red: Bad. At this time Google advises that although striving for Green scores is the best choice of action for the web developer, if your site requires a plug-in, widget or other feature that causes your speed to drop into the Yellow zone, it’s better to provide that feature to your guest, than remove it to score higher. We strive to do both, but realize that from time to time such features, widgets and plug-ins that an Business Owner or Manager wants and needs for their clients simply have not been designed to meet Google’s PageSpeed guidelines, thus when imported into the site, drop the Speed scores out of the Green zone. We do suggest, when possible, going to the developer of such features and requesting that they improve their scores, so our Web site score can improve also. But if the provider of the feature cannot or is unable to adjust their feature’s code, then we must then settle for a score in the Yellow zone. Some examples of such features, widgets and plug-ins are: Translator plug-ins, Reservation widgets, Review widgets, etc. These are all items that are not an intrinsic part of your Web site but are imported from another provider to handle a feature or function you need to have for your clients. On November 18, 2014, Google provided all Business Owners and Web developers the Mobile-Friendly Testing Tool. This tool allows you to test each of your individual web pages on your Web site and Blog to see if Google thinks the page is “Mobile Friendly”. At this time, the words “Mobile-Friendly” began showing up on all Mobile SERPs if your page had been found by Google to be Mobile Friendly. On April 21, 2015, Google took Mobile-Friendly one step further, and began placing your site in the Mobile SERPs based on if you had the Mobile-Friendly tag or not. Several providers in our industry only provide the tag on the home page. All of our Acorn Responsive Web site designs are coded to have the Mobile-Friendly Tag on ALL pages of the Website and Blog. All of our Acorn Web designs include either the basic Google Analytics install, using your current UA number from your previous site, if one existed, or the more advanced version of E-Commerce Tracking, if your Reservation Software supports E-Commerce Tracking (not all Reservation / Booking companies support E-Commerce Tracking), you will need to check with your choice of Booking software, and tell your Project Manager during the Pre-Development phase of the project which type of install you prefer. Do note that the reason we keep your current UA number from your old site is so that you can compare improvements or changes in your traffic once the new site goes live. Some companies change out your UA number, and you lose all your old statistics. We are very careful to keep all your previous tracking data, so you can make valid comparisons into the future based on the new site vs. your old one. All our Responsive Web sites include the installation of Google Search Console. Search Console is a free service offered by Google that helps you monitor and maintain your site’s presence in Google’s SERPs. Search Console helps us understand how Google views your site and allows us to optimize its performance in the SERPs. Basically, Google’s Search Console will TELL YOU what is wrong with your site, and offer suggestions on how to fix those issues. There are sides to ADA (American Disabilities Act): Website and Physical. All of our designs, starting in 2018, include ADA Website code and testing to pass both the achecker.ca and the Chrome Accessibility testing tool. We can only control the website code. If your Booking Engine is not compliant, your scores will be lower on these testing tools, as that your Booking Engine is integrated into your website. All websites must be ADA compliant in order to attempt to avoid a lawsuit. We also include client provided content for the Physical side of the property also, whether or not a property is exempt, integrated into the website. All our Responsive Web designs are built using the WordPress CMS. CMS stands for Content Management System. This, in layman’s terms, simply means that once the site is complete and online, you, the Innkeeper or Property Manager have the ability to add pages, change photos, change text, etc. on your own. Please do note, that if you prefer NOT to make changes to your site, we do have a support team that will do it for you based on our current support rates. WordPress is accepted World-Wide as one of the best CMS systems available today. But a word of caution. Hosting of a WordPress site requires on-going maintenance by your hosting company or webmaster. WordPress is an Open Source product, and as such, is a target for hackers. WordPress software is much more stable than it has been in the past, but still requires that your host or Webmaster continually apply security patches to the actual WordPress system itself. This is why we require any new Responsive design be hosted with us for the first year. As part of your hosting fees, we handle all these security patches for you, keeping your site safe. If you decide to move to another host to save money on hosting fees, make sure they are going to handle these ongoing patches for you. Without these ongoing security patches, your site will become vulnerable, and a vulnerable site is easy prey to hackers. The clean-up to having been hacked is much more costly than choosing a responsible and proactive host that actively keeps your Web site safe in the first place. Every Responsive Web site Acorn IS develops includes a Blog feature. A Blog is a Web log of “LIKE” Information. Blogs are written by one author, but each entry may be commented on by the public (or not). Our Blog feature becomes an extension of your Web site and is referenced from your Web site. Blogs allow Innkeepers and Property Managers to continually post fresh content to Google as per Google’s SEO Recommendations. Consistent posting of fresh content online will support your online placement in the SERPs. In order to better support your placement in the Local SERPs, we make sure to include a Google Map that correlates with your Google My Business Listing. This map is typically located on the Find Us / Directions page of the site. Google uses a variety of triggers to determine placement, in fact over 200 of them. Driving Directions are included on all new Responsive Designs as a way for Google to better determine placement in the Local SERPs. A Responsive Design must be developed in such a way to have its navigation display change from a Desktop style navigation to a Mobile style navigation. Also, to provide a quality user experience to your Mobile clients, it’s best not to simply allow your Mobile site to default to the grey window drop-down box. This does not create an enjoyable user experience. All our Acorn Responsive Designs are created to have Enhanced Mobile Navigation with multi-layered, highly functional, Google approved tap-size buttons that score very well in the Google PageSpeed Insights test. As Mobile devices become the primary choice of web access for your customers, Share Buttons become more important to allow your visitors to share your information with their friends and followers, especially on your Mobile site! We install Social Share Buttons on all pages of our Responsive sites. Remember, a Social Media Share Button is different than a Social Media Use Button. Share Buttons are for your guests to SHARE any page of your site on THEIR Social Media Accounts. Use Buttons are where they can go to your various Social Media Pages and Like or Follow your business. Social Media Use Button are simply the buttons that LINK to your various Social Media Business Pages for your business. Depending on what type of Social Media your business participates in, they may or may not include Facebook, Twitter, Google +, Pinterest, Instagram, etc. These Use buttons may also include links to your preferred review sites and your blog. Use Buttons are not to be confused with your Social Media Share Buttons. Social Media Use Buttons are for your guests to click on to view your various Online Social Media Content and to Like or Follow you for future communications. As part of any New Development Responsive design project, you will be working with a variety of people during the process from start to go-live. Included in the cost of a New Responsive design is both Data Gathering and Development Project Management. Our Project Managers (PMs) will help you gather everything together we need to design the site and properly migrate your online presence from your current hosting company to Acorn IS servers. They are you go-to people throughout the duration of the project. So many Web design firms are only concerned with giving you a new “LOOK” Web site. They don’t spend any effort on all the other pieces and parts that go into a new site launch. If you do not have a Flawless Migration Plan IE: One that leaves literally NO ROOM for error, when your new Web site goes live, Google is not going to look on the new site favorably and your placement can drop. Old pages and new pages should not mix in the indexes. They should redirect. A Migration Plan takes a lot of time and effort when done properly, and we begin gathering all this data during the Data Gathering phase, even before you start into the Development process. We want to make sure all old files are identified and handled properly when the new site goes live. A simple redirect to the home page from all of the old files is NOT the best way to handle a migration to a new site for highest possible placement, and when possible, we try to match the old site pages to the new site pages one-for-one. 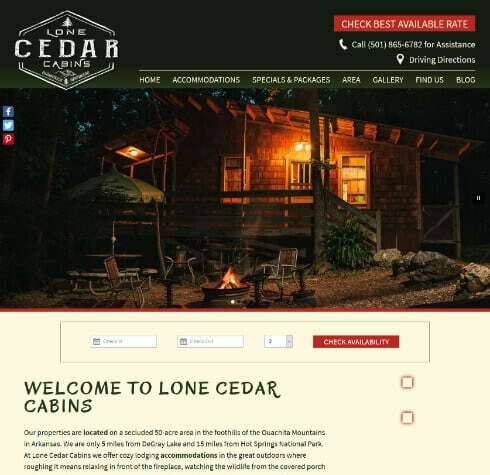 All Acorn Responsive designs include both an XML and HTML sitemap. Most simply, an XML site map is for the search engines spiders to read in order to index your pages and a HTML sitemap is a general overview of the site. Typically a list of all the pages on your Web site that a potential client would care about reading. All of our Existing Themes support a Home Page rotation of the large header photos. You can choose to rotate up to 7 photos in this space. We do not use FLASH, but an alternative method that is Google Friendly, and loads quickly, and meets Google’s PageSpeed Insights guidelines. You will choose the photos you wish to rotate as part of the Pre-Development phase of your project. Additional Header Photo Rotations for subsequent pages are available for our Deluxe and Premium designs, at an additional cost, and may be added to the bid during the Sales process. 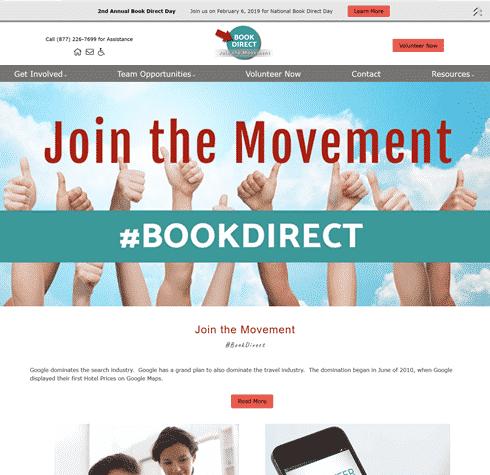 You may choose to add additional header rotations to sub-pages (pages other than the home page) on Deluxe and Premium designs for an additional cost. You can chose to rotate up to 7 photos in this space. We do not use FLASH, but an alternative method that is Google Friendly, and loads quickly, and meets Google’s PageSpeed Insights guidelines. You will choose the photos you wish to rotate as part of the Pre-Development phase of your project. All of our Existing Themes support a Photo Gallery option. We do not use FLASH, but an alternative method that is Google Friendly, and loads quickly, and meet’s Google’s PageSpeed Insights guidelines. You will choose the photos you wish to have in your Photo Gallery as part of the Pre-Development phase of your project. You may choose up to 15 photos in the main photo gallery. Additional photos, and additional Photo Galleries are also available at an additional cost and can be added to the bid during the Sales process. We have 6 different basic Existing Themes to choose from. Each one depends on quality photography. Our Existing Themes fall into 3 categories: The News Print Style Layout that require photos that are horizontal and at least 1000 pixels in width. 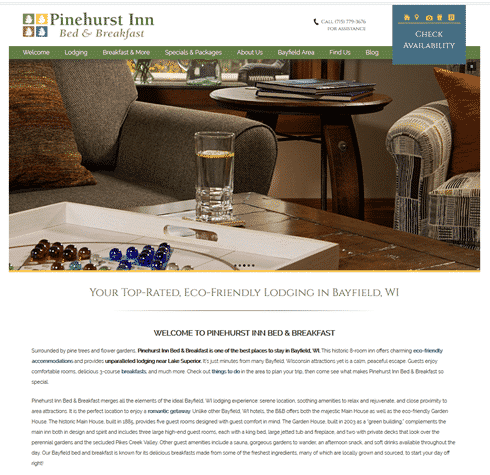 The Full Page Style Layout requires photos that are horizontal and at least 1900 pixels in width. The Full Body Style Layout also requires photos that are horizontal and at least 1900 pixels in width. These are simply our Existing Theme starting points. There is much more inspiration on our Responsive Web site Portfolio based on real Client sites that have used one of these Themes and modified the colors, logo, photos, etc. to match their specific business. When you are ready to move your business forward with a new Responsive Design, we will review your specific needs during and initial phone conference, and provide you with a Bid-Sheet Estimate, Services Contract, and Deposit Amount. Programming Notes and individual online Webinars will then be provided to assist us in gathering all the needed information to design, develop, and market YOUR IDEAS! Upon receipt of the Services Contract and Deposit Payment, your project will be scheduled. A conference call will be conducted to review the Starter Kits and schedule the first individual Webinar, and your new Responsive Design project will be underway! Contact Sales to Get Started Today!